Clutter is Creative: Why not Pork? Pork is, I believe, a somewhat overlooked meat. 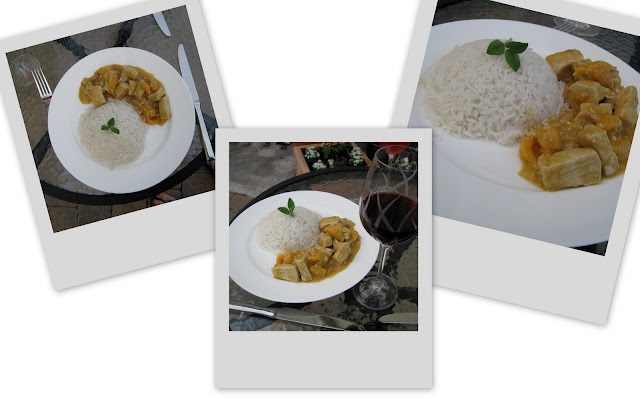 We are always trying to find the next perfect chicken or beef dish and end up eating our old time favourites over and over again, albeit with a new twist we found to add from someone else's recipe. So, I've decided to shake it up a bit for you and blog on a fantastic dish my mum used to make with many of my favourite ingredients....This is a great slow cooker recipe or something that you can put in a caserole dish and pop into the oven in 25-30 mins with great results. 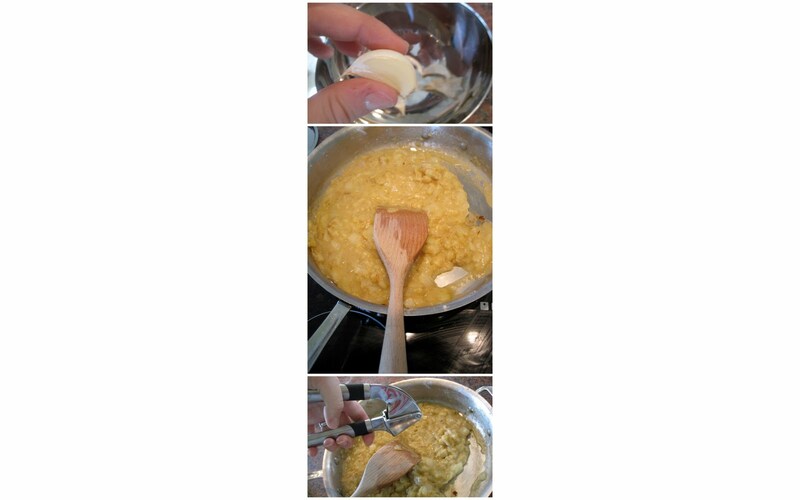 5 Chop onion and fry in pan with remaining fat. Now.... PORK STOCK.... because I used a cut of pork that had lots of fat and end bits, I decided to make my own stock from that instead of using pre-made Chicken or Beef Stock.... Why? Well, if you can make the stock you need from the ingredients already in the dish, then you will maintain a better flavour throughout - it will typically be bolder and blend better with your dish. This recipe calls for approx 70ml chicken stock. Since you will need to boil the water to make stock, account on adding at least 2 times the amount of that stock needed (i.e. 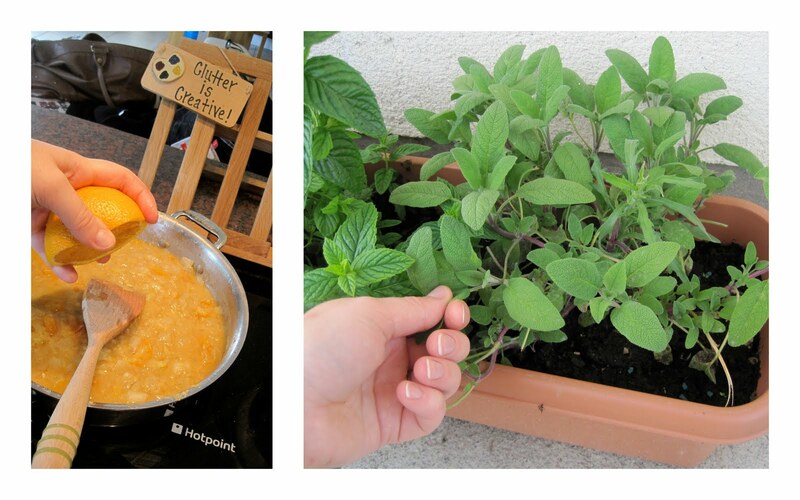 here it will be 2 x 70mls) in water measure to the pan. 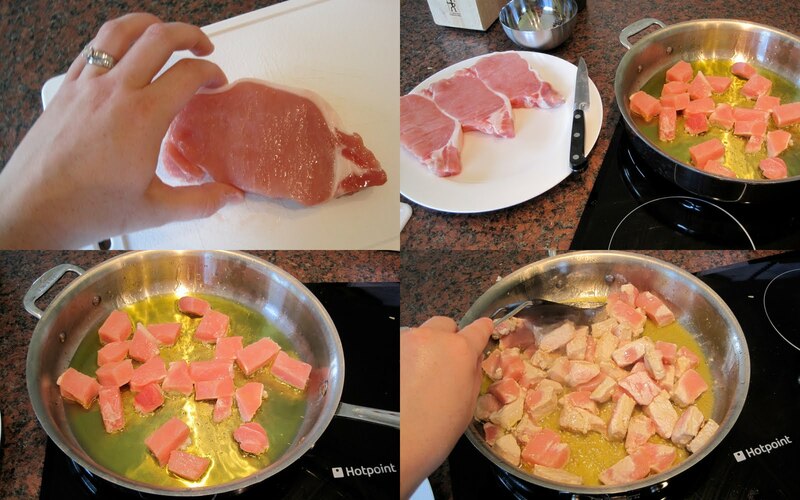 1) Heat approx 150- 200ml water to a pan, adding remaining fat from meat cuts. 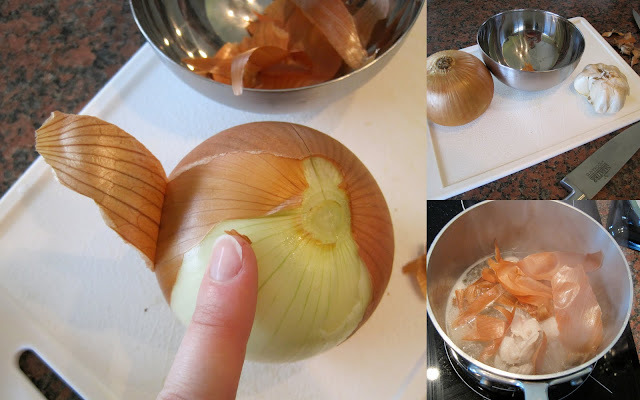 2) Peel your onions for main dish prep. and excluding the outter tough or papery skins (the skins I'm pointing to in the picture below should give you a good idea! 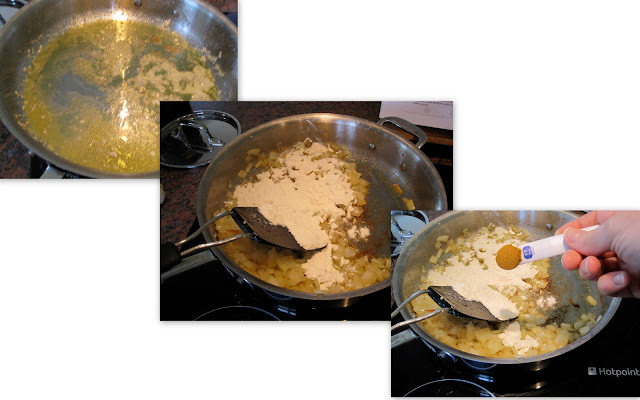 ), add other brownish/dark yellow skins to pan of water. 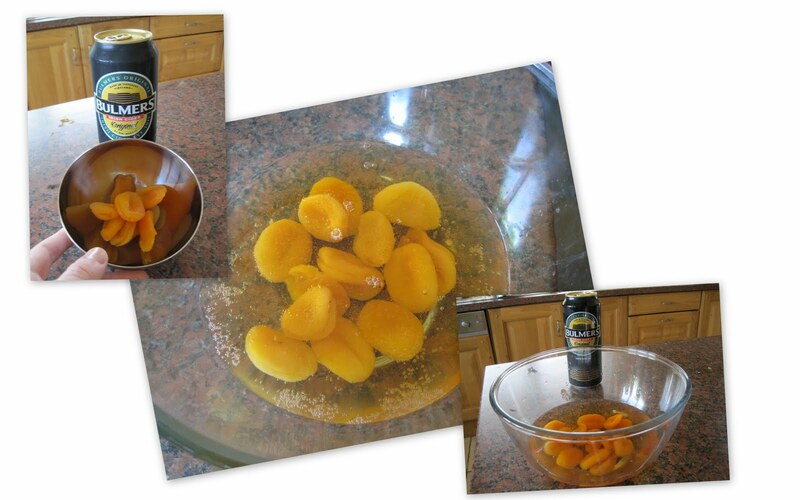 3) Leave to boil together for 5-10mins or until water turns a nice golden-brown colour. 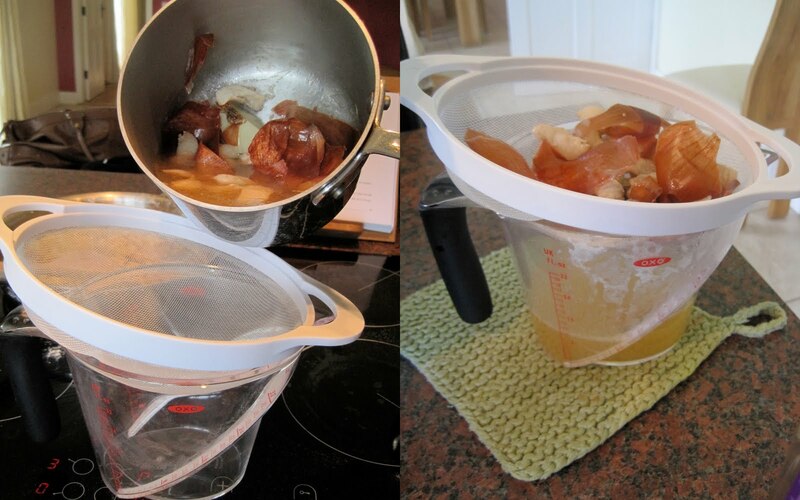 4) Remove pan from the heat, drain stock into a measuring jug, removing onion skins and bits of fat and voila! now you have your stock! Now, my husband declares that this is not in his top 10 and I'll agree that it's not high class cuisine however, like I said before - we all crave something a little different and I believe the combination of flavours here gives us just that. It's certainly a great dish and very delicious served with some sticky rice (or nice healthy brown rice)...a notch above stew and a worthy contender to stand right alongside our old favourites like spaghetti bolognese, Middle Eastern Pork with Apricots will not disappoint! ... Until next time, happy tasting!